Protect your iPhone with this temprature controlled, moisture free case. ClimateCase protects any device from the elements, including heat, cold, and moisture. The whole point of having a smartphone is to take it everywhere. But depending on where you go, your phone could be exposed to potential hazards, mostly in the form of moisture and temperature. So why not get a case that can protect against both? ClimateCase Smartphone Carrier offers space suit-like protection for your phone, keeping it shielded from the heath of the desert the cold of the mountains, while keeping out moisture that could turn it into a brick. That’s thanks to a patent-pending 8-layer jacket that manages temperature and moisture. 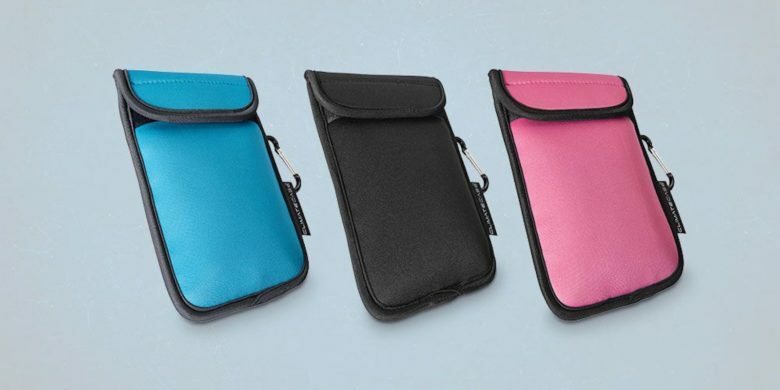 At the same time, it allows for recharging, Bluetooth connections, along with hidden pockets for cards and other valuables. All that in a convenient, TSA-compliant design. Buy now: Get a ClimateCase Smartphone Carrier for $24, that’s a 31 percent discount.